A lot of my research has gone into happiness: how it happens, why it happens, and how to get it. When I was 23 I worked in a large corporation and I saw more unhappiness than anything else. That misery I saw soon started affecting me, my mood, and even my outlook on life. I decided to become happier… but how do you do it? How do you just find happiness? Use these four tips, of course! You’ve probably heard it before, but practicing gratitude is the first step to finding happiness in your life. When you actively look for the GOOD in things rather than the bad, you train your subconscious mind to do the same. You will begin subconsciously looking for the positive side of things, and you will find what you look for. This is the biggest secret to happiness. If you look for positivity and happiness, you will find positivity and happiness. Make it easy on yourself: think of 5 things for which you’re thankful during your commute. A big part of happiness is knowing that there are bigger and better things ahead. When we believe that our lives have reached their peak, we become disinterested and depressed. Don’t let that happen! Set goals for yourself (daily, weekly, and monthly) that will get your life moving in a better direction. Know where your life is going to be in a month, in a year, and in five years. Consider setting personal goals, monetary goals, relationship goals, and physical goals to keep your life on a positive path. As evolutionary beings, we are hardwired to enjoy progress. Think about the beginning of a relationship, or the first two months of a new job: those were quite possibly the best parts of both of those things! The reason is that we love progression, and most people stop progressing and become complacent. Focus on making aspects of your life better all the time, not just when you’re starting something. Begin thinking: this part of my life is good, but how can I make it great? If any area of your life does not excite you, it’s because it’s lacking progress. Change that as soon as possible to keep freshness in your life and a smile on your face. A big reason people become unhappy or depressed is because they have a lack of social interaction… real, personal social interaction, without a screen interfering. As humans we are naturally inclined to want to connect with other humans. Try smiling at every person who walks by you today. Most will smile back and that will make you feel good. Make it a point to go out at least once a week and interact with people. Try to make a connection with people and you’ll find that it makes you happy when you succeed. Remember above all else that happiness is a decision. If you choose to be happy, no person, circumstance, or event can take that decision away from you. 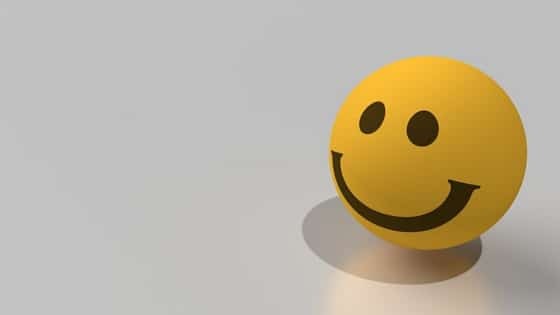 Happiness is not something you get from money, possessions, your job, or even your family; it is a state of mind, and you can choose to be happy regardless of what is going on in your life. Daniel Simms, Personal Development Expert.